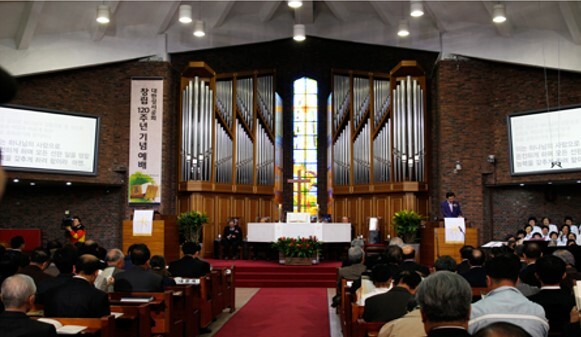 November 24, 2015 marked the 120th anniversary of Bible Work in Korea. 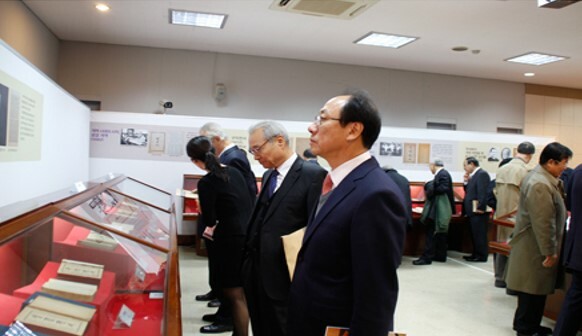 To commemorate this special day, the Korean Bible Society held the Thanksgiving Service at the Chungdong First Methodist Church alongside the symposium and exhibition of rare collection of early Korean Scripture publications. The service was attended by special guests from sister Bible Societies, who are Ms. Elaine Duncan, the Chief Executive of the Scottish Bible Society, Rev. Dr. Mkunga Mtingele, the General Secretary of the Bible Society of Tanzania, and Rev. Makoto Watabe, the General Secretary of the Japan Bible Society. They delivered congratulatory message and presented special gifts to KBS. The symposium which was held under the theme, “The History of Korean Bible Translation and Dissemination in Korea” was led by Dr. Man Ryeol Lee, the Professor Emeritus of the Sook Myeong Womens University. 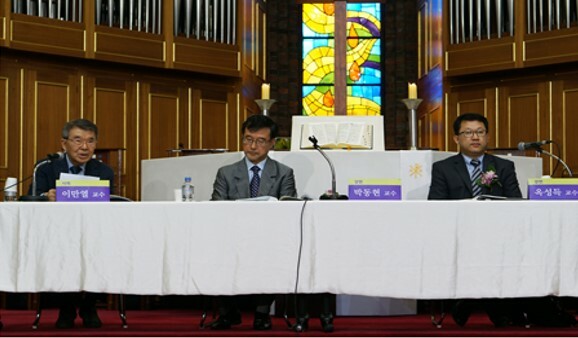 Dr. Dong Hyun Park and Dr. Seong Duk Oak delivered lectures that highlighted and renewed the impact of the Korean Revised Version in the life of Korean Christians and churches. In the special Bible exhibition, a total of 73 different rare Korean Scripture publications were put on display. These Scriptures were generously donated to the Korean Bible Society by the Scottish Bible Society, the British and Foreign Bible Society, American Bible Society, and the Bible Society Australia, that were also strong supporters of Bible Work during the early years of the Korean Bible Society.